Informal economy workers are far from being a homogeneous group or a sector.1 Indeed differences in terms of income, sector (agriculture, industry for example), status in employment (such as employers, own account workers, casual workers, informal employees, sub-contracted workers) have been identified. WIEGO (Women in Informal Employment: Globalizing and Organizing) suggests that a way to identify informal economy workers is to look at their place of work. With this method, street and market vendors, waste pickers, home workers and domestic workers can be recognized. According to ILO report Global Employment Trends 2014,2 “informal employment remains widespread in most developing countries even if with different variations,” accounting for more than 20 per cent of total employment in Eastern Europe; 70 per cent or more in low-income Andean and Central American countries; and as much as 90 per cent in South and South-East Asia. According to WIEGO, informal workers contribute to the overall economy, yet much needs to be done to integrate informal workers into mainstream social protection schemes (that is, beyond short term safety nets or targeted social assistance). Social security is a human right as recognized in Article 22 of the Universal Declaration of Human Rights and in Article 9 of the International Covenant on Economic, Social and Cultural Rights. At the same time, there is evidence that social security is a tool to realize other economic, social and cultural rights such as the right to health, the right to education and the right to food. (d) basic income security, at least at a nationally defined minimum level, for older persons. The guarantees should be ensured over the life cycle (childhood, adolescence, adulthood and old age). ILO Recommendation No. 202 advances 18 principles including central human rights principles such as non-discrimination, participation, transparency and accountability. Among them there is also the principle of “universality of protection” and that “representative organizations of persons concerned” should participate in the design, implementation, monitoring and evaluation of national SPFs. Indeed, the incorporation of the informal economy in the design of social protection programmes cannot be done without the participation of informal workers themselves through their representative organizations. For this reason, SOLIDAR together with its partners in the Global Network (a network of labour NGOs, think tanks and trade unions) considers that a key strategy to extend social protection to informal economy workers is to support and build the capacity of representative informal economy workers’ organizations. Within the large informal economy in Pakistan there are 8 million home-based women workers unrecognized as workers by law and without any social protection coverage or access to the labour courts in case of industrial dispute. Home-based women workers frequently work excessive hours for very little pay, with often serious implications for their health. With few if any government health facilities and unaffordable private clinics, many workers have no choice but to continue working despite their ill-health or injuries. In 2005, the non-governmental organization Labor Education Foundation (LEF) set about empowering home-based women workers to come together and ﬁnd a collective voice and bargaining power through the establishment of a national platform to call for their rights. LEF overcame the obstacle of isolation by helping to form cooperatives that gave home-based women workers the opportunity to meet and discuss their issues with other home-based workers. These cooperatives now have over 4000 members and played a major role in establishing the Home Based Women Workers Federation (HBWWF). Together with HBWWF, and Home Net Pakistan, LEF engages in active lobbying to raise the issues of home-based women workers with regional and national government and to place it on the agenda of mainstream trade union movements. The ﬁrst HBWWF Convention was convened on 11 April 2011 in Karachi and a second one in Lahore on 26 October 2013 to demand the government to: adopt a national policy on home-based women workers; ratify ILO Convention 177 on home work; recognize home-based women workers as workers and ensure their protection under labour laws as well as their access to social security. 1 In 2002, the International Labour Conference broadened the concept of informality, recognizing it as “an economy-wide phenomenon, and … one that included not just the production unit but also the characteristics of the job or worker”. ILO. 2013.The Informal Economy and Decent Work: A Policy Resource Guide supporting transitions to formality. Geneva, ILO. 2 ILO. 2014. Global Employment Trends 2014: The risk of a jobless recovery. Geneva, ILO. 4 HelpAge International. 2012. Global ageing – its implications for growth, decent work and social protection beyond 2015. Policy Brief No. 2. London, HelpAge International. 5 The text of the Recommendation is available online. 6 The case study is an updated and shortened version of one published in the 2011 SOLIDAR-Global Network report Realising Decent Work and Social Protection for All: How civil society organizations are creating change, coordinated by the author. 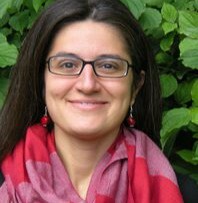 Barbara Caracciolo is Project Officer at SOLIDAR where she is in charge of the coordination of the organization’s projects and policy around the Decent Work Agenda (mainly the right to social security). Among other things, she coordinated the Decent Work Decent Life Campaign and the Global Network (a network of labour NGOs, think tanks and trade unions in Africa, Asia, and Latin America). Since 2007 she has been involved, at the European and International level, in campaign and advocacy work on social protection in development policies. She has an educational background in International Relations and European Social Security Law.